Mandela Day is arguably one of the easiest days to celebrate, as it is in honour of a person for whom we all share a deep respect. Nelson Mandela devoted 67 years of his life to fixing a broken country, and although some aspects still have a lot of work left, his legacy lives on. For this day, the tradition is to take 67 minutes out of your day and use that time to do something for the community or your fellow man. 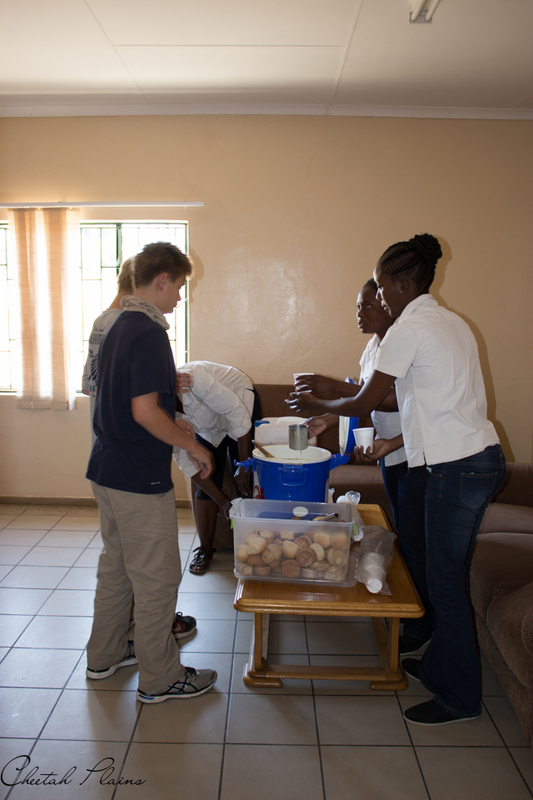 This year, the staff of Cheetah Plains and Jaci’s Sabi House banded together and planned an event to serve a delicious chicken soup, bread rolls and home-made juice to the patients and staff of the Utah Clinic, just outside of the Sabi Sand Game Reserve. 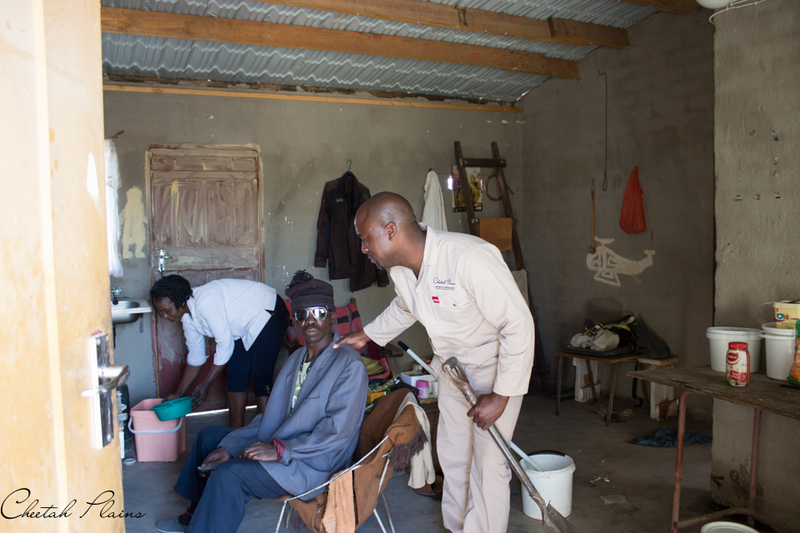 We had also chosen to help a local man by the name of Reneck, who lives alone and was in need of some positive upliftment. Once we had finished serving at the clinic there was still enough soup left over to serve to other members of the village who passed by. We packed up and went ahead to Reneck’s house and re-set our soup-stand, using the Cheetah Plains truck as a make-shift table. 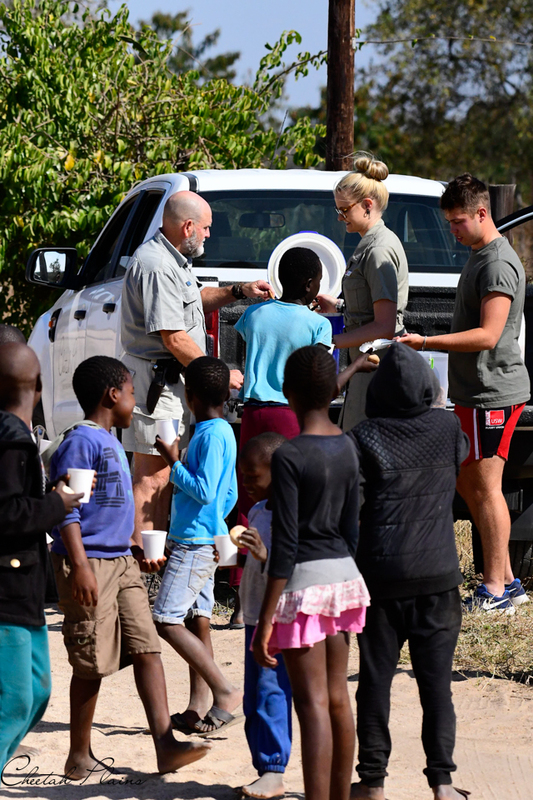 Gary, Elinda and a guest from Cheetah Plains handled the soup, as well as the jolly faces of all the little children who couldn’t wait to taste this unusual food – soup is generally not seen as a means of nutrition, and so this was somewhat of a treat! 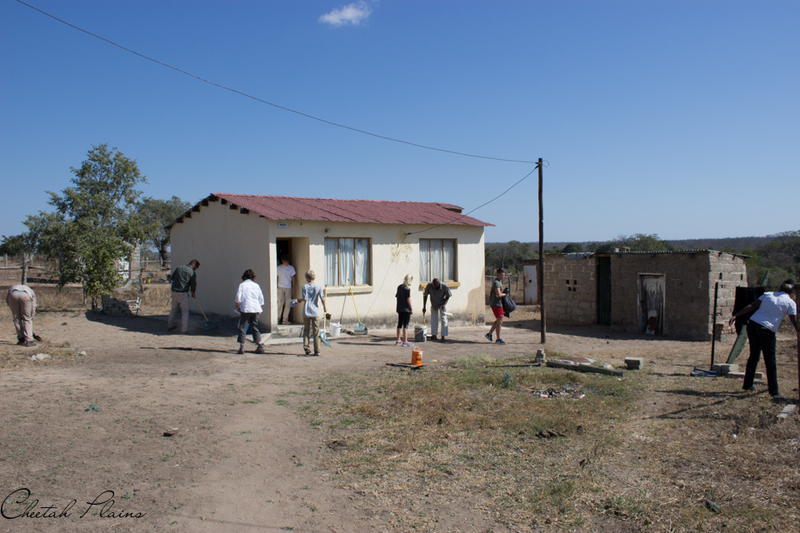 While soup was being dished, Paul, Samuel, Lucy, Calfonia, Difference, King, Miriam, Ralph and Andrew got stuck into Reneck’s yard, exterior house walls were painted and the interior cleaned. All of the dishes were rewashed and the floors scrubbed. 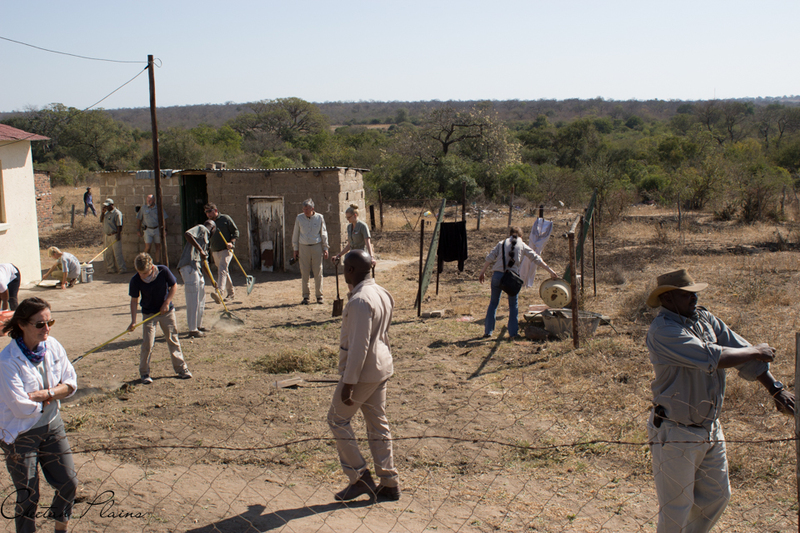 What was really amazing got see was that, the guests staying in the Sabi House – the Hines family, wasted no time in grabbing a shovel, rake and paint brush and actively got involved. Scraggly grass creepers were cleared, litter was picked up and the walls of the house were given a light lick of paint. Reneck was also given a food hamper – a full belly is great for the morale! Reneck was so happy that when he heard the volume of music playing in the vehicle turn up, he bopped and jived in celebration! 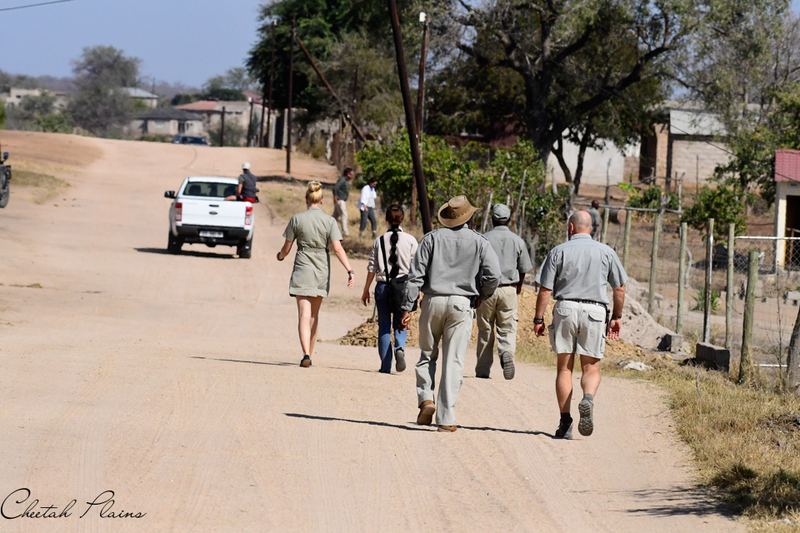 It was truly a great day for Reneck, for the children and for the spirits of the Sabi House and Cheetah Plains crew, and guests, who had so much joy for the role played that day.